Together bonded silver and 9ct gold bracelet. Each anchor link features a central bar for a stylish twist on a typical chain bracelet. Chain measures 8". 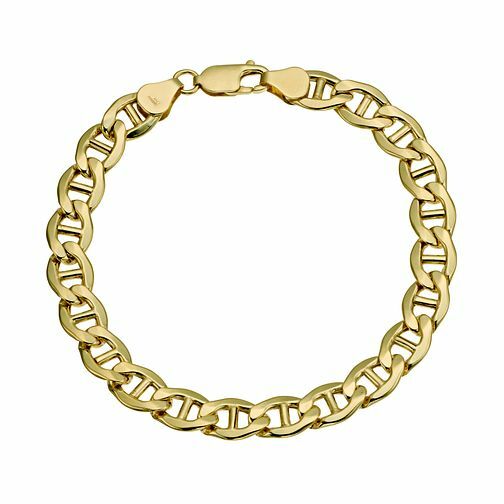 Together Silver & 9ct Bonded Gold Anchor 8" Bracelet is rated 5.0 out of 5 by 1. Rated 5 out of 5 by Anonymous from lovely bracelet exactly what I was looking for - comfortable to wear, simple but beautiful. Easy to manage, yet secure clasp, perfect for every day as well as for special occasions!